Recovering debt from defaulting customers deserves strategic and humane methods, a banking industry expert said this week, insisting that credit management requires an attitudinal shift to be successful and result in business growth. 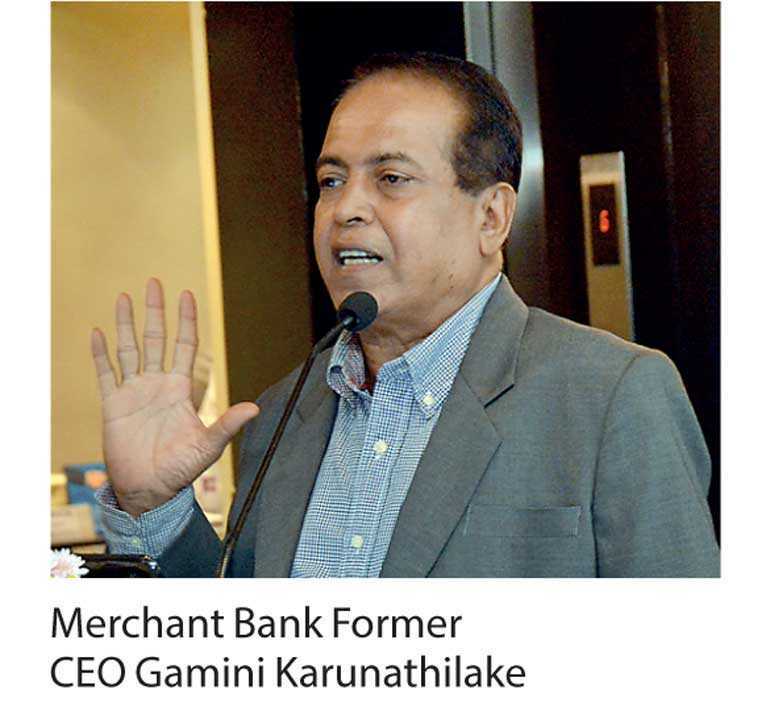 Merchant Bank of Sri Lanka (MBSL) former CEO Gamini Karunathilake delivering a lecture on ‘Strategies on Debt Recovery and Problem Credit Management’ recently noted the importance of acquiring the correct knowledge and right attitude in recovering debt as a lender. “There is a significant knowledge and skills gap among 80%-90% of credit personnel in the entire credit process; especially on monitoring and remedial management. Also the attitudes of the credit personnel influences the default rates of financial organisations. We need to focus on these things in order to decrease the default rate to an acceptable percentage which is zero percent,” he said. Karunathilake emphasised the importance of developing an exact criteria to make exit credit decisions. “In an organisation you need to have a commonly acceptable criteria on things such as interest concessions, waive offs and write offs that is involved in the exit credit procedures,” he said. He pointed out that it was crucial for the industry to organise credit activities in such a way as to have specific departments with exact duties and responsibilities. It would assist to streamline internal processes, control overhead costs of investments and make recovery systems more efficient, he added. Growing levels of default within a company could result in poor growth rates that could lead to deterioration of market reputation, decline in price of shares and issues in servicing deposits needed to extend credit facilities, he observed. In such scenarios the lender needs to exercise options such as renegotiating the outstanding loan or deciding whether the client can be assisted to the level they are able to repay their loan. To rehabilitate a customer or a customer’s business is an outward looking policy and the customer or the business needs to be eligible for rehabilitation by the lender and the key reason for the failure of payments will be attended through rehabilitation. Karunathilake highlighted the importance of the decision making ability of an organisation stating that it is the key success factor of problem credit management. Several options are available for companies to recover loans through negotiations, a mediation board or arbitration. “Recovery through CRM is very important. One must remember to have patience to maintain the relationship with the customer until the termination of relationship, irrespective of the judgments by the customer. The objective is only to recover the payments with interest and not to bear any grudge against the customer,” he said. The option to recover debts through a mediation board is by issuing a letter to the chairman, who will then assign a mediation board to provide solutions to recover the debts. However, this decision may not be a legal one, warned Karunathilake. “To negotiate through arbitration, you need to have signed an arbitration contract along with the lending contract or there needs to be an arbitration clause included in the lending contract. The disadvantage is that this prohibits you from seeking help through the courts but this is one of the humane ways of recovering obligations.” Other methods are to recover through repossession of assets, through civil or criminal action or through special debt recovery acts. Karunathilake explained that under his management of MBSL, the default rate of trade finance portfolios decreased from 40% in 1995 to 10% in 2012. In addition, the default rate of leasing reduced to 3% in 2012 from 28% in 1999.